A vehicle service agreement (VSA) is an extended warranty contract that can cover the costs associated with certain repairs or replacements, including parts, labor, and/or sales tax, that may be required after a manufacturer’s warranty has expired. 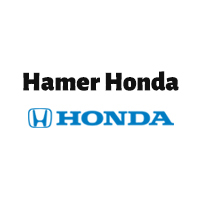 Hamer Toyota offers vehicle service agreements (VSAs) for New Toyotas, Used Toyotas and Certified Used Toyotas with mechanical breakdown coverage, travel protection benefits and low deductibles. Vehicle repairs can happen at any time and can become an unexpected expense. Get the peace of mind that comes from knowing your vehicle is covered. Ask one of our Hamer Toyota Finance specialist about which of our Vehicle Service Agreements is right for you. What are the benefits of a Vehicle Service Agreement? Ensures the quality of future repairs – repairs made by qualified technicians. Although normal wear items (ie brakes & tires) are not covered, covered components are still covered if they break because of wear. Increased resale value – Repairs can be made so a car in good mechanical shape is easier to sell.